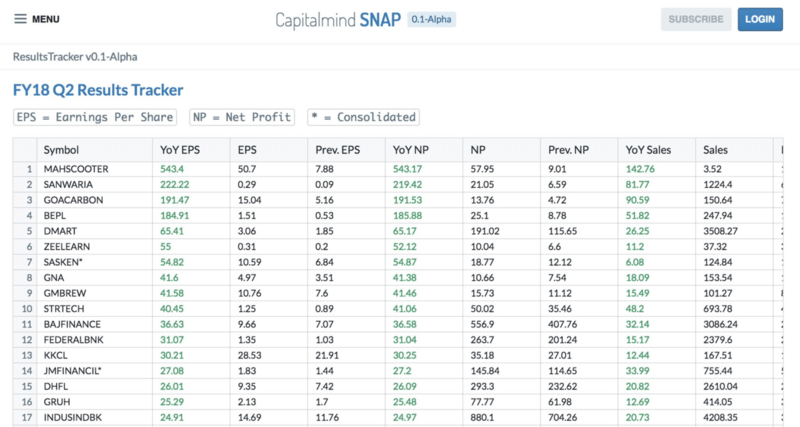 In our new “Alpha” version of Snap we have a special for you: The Snap Results Tracker. Please let us know what you think, by writing in at contactus@capitalmind.in . Have a great set of holidays!